Native mumps virus preparation Native mumps virus contains a high concentration of virus and viral components. The preparation also contains some cellular material suspended in tissue culture medium (1969B). Mumps virus is a member of the Paramyxoviridae family and is the causative agent of mumps. Mumps is most typically characterised by painful swelling of the salivary glands and fever. In some adult men, the virus might also infect the testicles, rarely causing sterility. The virus is spread by airborne droplets from the nose or throat and can have an incubation period of up to three weeks. Infected individuals are contagious from approximately 6 days before until about 9 days after the onset of symptoms. The disease is self-limiting and treatment involves controlling specific symptoms. An effective vaccine exists and may be given separately or as part of the MMR vaccine. Mumps virus, Enders strain, cultured in BSC-1 cells. Optimally infected cells are harvested, disrupted by sonication in culture medium and subjected to low speed centrifugation. The supernatant from the infected culture is concentrated by crossflow ultrafiltration. The antigen preparation is inactivated using gamma radiation, which primarily damages viral genetic material. Total protein concentration 2.6 mg/ml. PIP014 should be sonicated immediately before use to ensure the preparation is uniform.  The product may be used in a variety of immunoassay formats or may be further purified to meet the requirements of a particular assay format. Bhoj, V.G. et al. (2016) Persistence of long-lived plasma cells and humoral immunity in individuals responding to CD19-directed CAR T-cell therapy.